So, I figure reeds break a lot and I just got a Wurlitzer 200a. I have the oppurtunity to purchase a lot of reeds, but there is surface rust on almost all of them. How much of an issue is this? Can it be cleaned off? And will it affect the future tone, sustain, or life-span of the reeds? You can clean them with WD40 or equivalent. Do not, and I mean really DO NOT! sand or steel wool them ,this can weck them... Just soak them in WD-40, wipe and dry them completely before using them.A little discoloring shouldnt affect the tone enough to worry about, but do get any visible rust off. They shoiuld not break often if the piano is regulated properly. Be extra careful of the treble reeds when cleaning, these are so thin you can break them in your bare hands. Thanks! So are rusty reeds a common thing? These are in the packages and NOS, but they seem to all have a little rust. I just want to make sure that they work the same and last a long time. The rusty reeds Ive encountered were from poor storage such as in basements.My NOS in envelope reeds do not have any rust on them. I just bought a Wurly and it came with several broken reeds (28 ) and the rest rusty. I read here the tip of using WD40 and I have already done it, however, the rust remains. Why not use steel wool or fine sandpaper? I think I'll only be able to remove the rust with sandpaper or steel wool . Use evaporust, it’s an excellent solution which removes rust without damaging the item. I use it frequently, my only complaint is that it’s not easy to get in the U.K. I'll look for the evaporust. But, If it’s not easy to get in the U.K. imagine in Brazil . Here are some photos of the rusty reeds after a WD-40 clean (and my tooth-gapped Wurly). Unfortunately, WD-40 does not solve the rust problem. I’ve got a couple of rusty Fender Rhodes leg flanges i’ve popped into a bucket with some Evaporust. Will post some before and after photos. Those reeds don't look that bad, the important question is, how do they sound? If they have poor sustain, then cleaning may help. If they sound fine, let them be. Never sand a Wurlitzer reed (except the solder tip for tuning) because it can weaken the reed. The sound and sustain of most reeds are good. My question is that the corrosion could increase and my reeds end up breaking (as I bought the piano with 28 reeds broken, but I'm not sure if it was just because of the corrosion). Broken reeds can be caused by corrosion, but also from heavy playing, especially if the letoff is set too close. If you have to hit the key hard to make it work properly, or if the hammer blocks against the reed, then you need to adjust your Letoff. Loctite made by a German company Henkel makes TURCO rust converter. Look for this product in your country if outside CONUS and you can't find an alternative from the U.S. It works well to convert rust into a gray paintable surface. It's not goopy, pours like water. Use in a well ventilated area as it is an acid. Have a fan blowing towards you to cut down the inhalation is what I like to do. Even for surfaces you don't plan to paint you can convert the rust and then use a needle oiler to drop small amounts of sewing machine oil on parts. I use it for bridge parts, screws on my guitars and anything that gets rusty. Heavy rust will need to be done in stages and cleaned off if the rust is caked. But slight surface rust is easy. There has been concern for the "protective coating" on the reeds, but if the reeds are rusting and since reed replacement is not that easy, trying to stop the rust might be something worthwhile doing since the "coating" has lost its effect. Stopping the rust from spreading or increasing would then allow you to clean the reeds with oil as the manufacturer suggested once the rust is contained or stopped. Use a small clean artist brush or old toothbrush (child's size might be better) to apply a small thin amount of TURCO to the reeds at a time letting it dry before the next coat if needed or a fresh Q-tip (watch for stray fibers) might give you more leverage to apply and slightly rub converter into the rust on the reed while taking some of it off. Doing it slow and methodically will keep the converter off other parts inside the piano. Yes do not sand or scrape your reeds. Results of a local market product. It appears that the product has removed a protective layer of steel. Glad I tested it on a broken reed. That the reed has rusted the protective layer is already gone on the areas that are rusted. Try diluting the product with water instead of using full strength or don't soak the reeds too long in the product. Note the usual solution would be to replace the reeds if you don't like the rust or use the reeds as is. But if trying to save hard to find and import reeds, then going slow and lighter on the rust proofing might be the better alternative. Electrickey, once you've removed the rust, what do you coat them with to prevent further rusting? Or does the product do that? Apologies if I missed something. Sometimes the product keeps the rust off without putting anything on it but I'm guessing it's just because the air quality is not as humid for the time there is no rust. As I have not experienced rusty reeds yet, according to Steveo he suggests WD40. You can try that. As far as how the WD will affect the sound, I'm not sure as I have not applied anything to reeds. Perhaps after the WD dries, there is no affect on the sound. Don't spray the reeds with WD40 if they are still in the piano to keep the rest of the piano parts from getting over-spray. Collect some in a small container and then use a small brush to apply the WD to the reeds. All of the rust converter work I've done are on guitar parts and the use of basic oil like clock oil keeps the rust away. Some areas of the planet are just bad on metal parts. Perhaps where you store your Wurli might help keep rust away. Turning the piano on and letting heat circulate inside the lid might keep the air under the lid drier than not after you get the rust off the reeds. A thick vinyl cover with a felt like interior and elastic gripping edges might help keep the piano dry when not in use. Also your finding that certain year reeds have rust might be key that the production was such that rust collects easier on those particular reeds. It's mainly hit and miss. Some units of anything get rusty while others survive without rust. I think if anyone is going to recommend rust removing items for reeds without having TRIED the product on reeds, this should be clearly stated at the time of giving advice. This sort of thing should be general practice. You don't want to destroy someone's entire piano with some chemical that might have unintended effects. And.... as one fixing your Wurly, I recommend collecting lots of advice from various sources before taking extreme actions. People can say anything. There are no police here to stop you ruining your instrument. Caveat Emptor. Since many times forums tend to be self-help venues, it should go without saying that the YMMV or try at your own risk are understood. Short of bringing/shipping an instrument to an experienced repair person, we are left to our own devices, levels of skill and basically, luck. Accidents do happen. And depending on where we are on the planet, certain issues do crop up that are not the case in other areas of the planet. As mentioned before try this. I use it often and can vouch for it's effectiveness. I'll find a rusty reed and do a before and after shortly. I am testing anti-rust products that I found in my city but they are all deteriorating the material. I'm trying to import evaporust but I can not. Then dilute the chemical with water and brush it on rather than soak the reeds, leaving it on for a few minutes and then rinse with water, dry the parts with a clean cloth. You will have to guess how to use the chemical as the composition might be different from other brands of rust-converter which is what these chemicals are supposed to do. Different countries have either chemical/liquid import restrictions or government red tape to import. Apologies if I was implicitly too harsh on anyone supplying suggestions. Indeed, YMMV should be a given. Can you supply photos of the reeds? I think the necessity of removing the rust may be overrated. The place you most want to worry about is where the reed contacts the reed bar. You certainly want full contact between the surfaces there. Keep in mind that the hammer doesn't want any random chemicals on it, so reeds should be clear of any oils or chemicals before being reinstalled. the necessity of removing the rust may be overrated. The place you most want to worry about is where the reed contacts the reed bar. You certainly want full contact between the surfaces there. Good point for oil on the hammers but then the same could hold true for getting rust powder on the hammers as well. And rust spreads to other parts and then makes a mess of everything if not caught in time. Hindsight IMO would be to avoid getting involved in a piano that has rampant rust. The same way one would avoid buying a car that was rusty not unless you're an experienced repair person with unlimited, time, funds and facilities and don't mind taking on the task of restoring something that is filled with rust and problems. 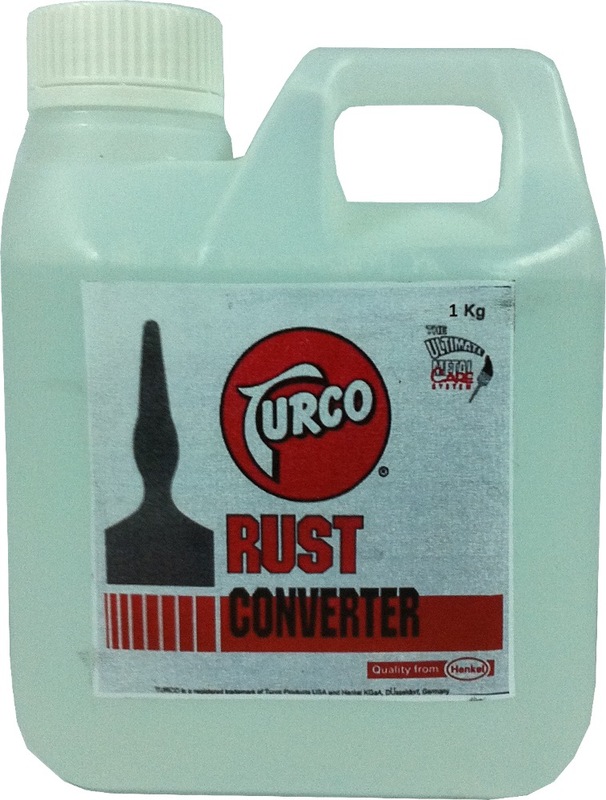 Rust converter if done right works to bring the rust to a controllable state. And here again YMMV is king. I was asked one time to help a backline company source a Fender Rhodes. They brought out several units. Looking inside, there was rust on most everything. When they were told how much it would cost to restore the piano they got cold feet, and rightfully so. As I tried to imply, finding an instrument that is not a victim of the ravages of time, says something for the build of the piano and IMO would be the best start rather than to take arms against a sea of troubles. For some reason there are units from any one company that survive getting rust. Those are the units to consider purchasing. Granted not everyone has that choice and makes do with what they find if they really want an instrument and are willing to go through the hassle of restoring it. Note that replacement reeds are for some reason presently 'out of stock' and hence not always available. And there is some risk in using newly made vs the old stock made by Wurlitzer getting the whole piano to sound congruent across the keyboard. Par for the course of having and using an instrument that is no longer made. If you have a rusty instrument sourced from your area, you might want to consider also that your weather conditions are not friendly to your piano. And you may want to weigh the pros and cons of owning it. I know of a hi-fi dealer selling audiophile level stereo gear. He had two dehumidifiers running 24 hours a day in his shop including an isolation transformer filtering his AC to his stock. These extra precautions are part of taking care of gear in unfriendly climates. I purchased a Minimoog that came with the Moog supplied flight case. The case hardware was rusty. Fortunately the D series was clean of bad rust unlike its case. I just bought new 1/4 inch jack washers and replaced those and put converter on some of the screw heads. The inside of the synth is clean. Just turned out that way and had the D been badly rusted, I would've passed on it. Luckily I was able to source the gummy key actuators to fix a broken contact. And I got the D for a really good price. A father was liquidating his son's studio and just wanted the gear to disappear. Armed with a wire brush chucked to a drill wearing a dust mask, I took off the rust on the case hardware and then added rust converter. Then sprayed it with clear epoxy. The rust is gone for years now and the hardware looks clean. The foam inside the case had seen better days as did the velour material. So new foam and velour were added. Just takes doing right and it's not easy. Sometimes the converter kills the rust without needing any oil afterwards. Again, it's hit and miss. And you have to monitor to see if the rust is coming back. But if you store your instruments in climate controlled rooms, then you'll have an easier time with it. But building and powering the climate controlled room is another matter altogether. That, or move to Arizona where many car collectors store their vintage rides. @Bristol, Do your reeds become frosted (black) when evaporust is applied? I tested it with my broken reeds and they got that coloration. They seem to lose some protection.